I know I can’t be the only one that gets confused by how to tell apples apart. What kinds are good for pies, what other varieties are best for salads? The last thing you want is an apple the breaks down to mush when you’re baking a pie. But what about applesauce? A mushier apple might make better sense! 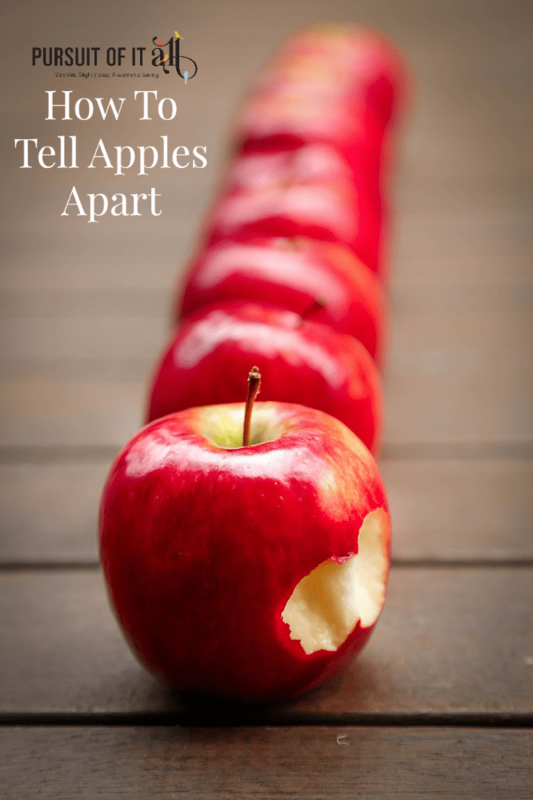 And how about blending the two types of apples? Some baked apple recipes are better when you mix the taste of a sweet apple with one that’s tart, or one that has a crisp texture versus a smooth texture. As you head out to the orchards this fall to pick your own apples (or to a local farmers’ market), it’s a good idea to know which apple types work best for the task at hand—pies, salad, applesauce, breads, cheese plate, etc.! Here are 6 of the most common apple varieties—and how to tell them apart—so you’re eating and cooking with the right ones! Juicy, tangy tart McIntosh has a tender, white flesh. It’s best used for snacking and applesauce, but some people enjoy its tart flavor in pies as well. This crispy, juicy, very sweet apple is ideal for snacking. Galas can vary in color, from cream to red- and yellow-striped. Goldens have a pale yellow skin, sometimes with a red blush. Mellow and sweet, all-purpose Goldens are great for eating, baking and salads. Their crisp, pale yellow flesh resists browning, making them a good choice for salads and other dishes. 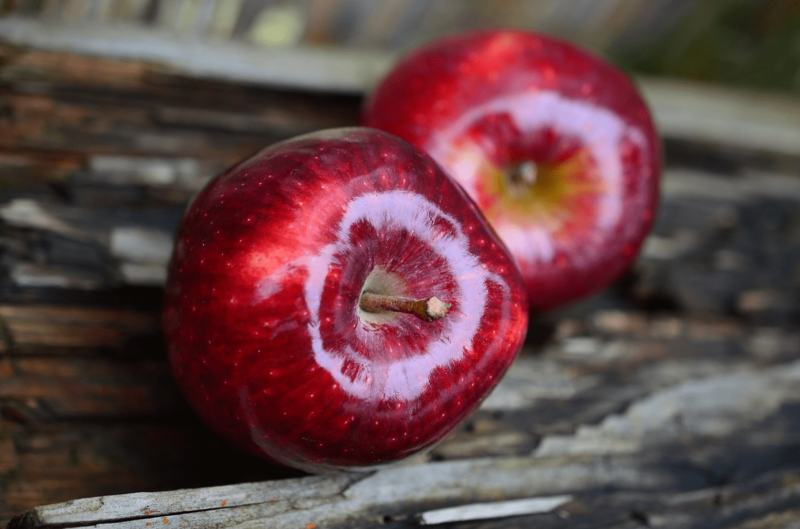 This sweet, crispy, juicy apple varies in color from striped red to solid midnight red. This apple is best eaten fresh or in salads. Grannys are known for their distinctive green flesh, which sometimes bears a red blush, and their very tart flavor. An all-purpose apple, Grannys work equally well as a snack or in pies and sauce. Give me a few slices with a good bleu cheese! This variety’s popularity is skyrocketing, thanks to its sweet flavor and firmness. Fuji apples are bi-colored, typically striped with yellow and red. Check out the chart below for a slew of other apple varieties, and make sure to visit the U.S. Apple Association for all things apple! I heart Gala for kids, granny smith for juicing, and macintosh for baking! GREAT post! We’re big Gala fans for eating, too! I like to do a mixture of Granny Smith and Macintosh for my homemade applesauce. Mmmm….